Conscious Leadership • Qualia, Inc.
We credit Einstein with defining insanity as “doing the same thing over and over again and expecting different results.” Even if he didn’t originally say it, many others have and we know that it’s true based on our own experiences as well! How often do we as leaders do the same things over and over in our battles with employee retention and engagement, but somehow expect different results? And are we getting those different results? Current research says we’re not. Obviously, it’s time for a change! Let’s fix these problems in a new, unique and better way for everyone! In case you are dubious about this, let’s look at the facts. Gallup, a global research firm, has been measuring engagement levels for almost 20 years. Those of us who study employee engagement read the summary reports, including “tips” on what to do about it every year, yet the needle hasn’t moved significantly into the “engaged” category. Yes, HR teams and companies have done many great things in an attempt to move that needle – increased pay, better benefits, instituting “flex time” options and offering social perks. These things are necessary and a great foundation upon which to build. But obviously, still not enough given the persistent low engagement scores. As a hiring manager and/or HR professional responsible for recruitment and retention, you know the woes of this and the level of it for your company! What would happen if you could cut your turnover rate in half? What is the cost of the engagement gap for your organization? Sparing the details here, research backs up this simple formula: # of employees in your organization * 17 percent (level of disengagement)* 34 percent median salary (Gallup’s researched “cost of disengagement”). The numbers will be pretty shocking. This is what disengagement is costing your company each year. These costs show up in various forms, including: safety incidents, quality problems, mistakes, errors, productivity issues, missed deadlines, customer service problems and more. Some of these are sometimes hard to measure, but we all know there is a cost. This formula captures those overt as well as “hidden” costs! Regarding the retention issue, what is that costing organizations today? Studies by the Society for Human Resource Management (SHRM) predicted that every time a business replaces a salaried employee, it costs 6 to 9 month’s salary on average. Again, the math is pretty simple – turnover rate * # of employees * 6 to 9 months of median salary of that group! Engagement and retention are both resolved with more effective leadership. Again, tons of research backs this up. It all indicates clear and similar reasons for turnover – don’t like the boss, lack of empowerment, internal politics, and lack of recognition. All of this can be grouped into one main category: poor leadership. As Mike Prokopeak, vice president and editor in chief at Chief Learning Officer magazine, points out in his research (published less than a year ago) that companies realize this. 94% of organizations surveyed indicated they planned to keep their investment in leadership development the same or increase it, citing that the scarcity of in-demand talent and the high cost of attracting talent makes focusing on and developing their next generation of leaders the top priority. You can read his full summary here. His research says that the focus of that training will be around emotional intelligence and “people focused” training. But that’s not new either! What shift is necessary in order to finally hit the “sweet spot” on those two topics? And how do you get the most bang for your buck on those leadership development spends? The change needed in leadership development training requires a shift from focusing not only on WHAT you do as a leader, but also on HOW you do it and the effect and the impact you have on others! My belief is that all leaders INTEND to be inspiring, motivating and engaging as a leader, but their IMPACT misses the mark. How do we fix that? The short answer is shifting the focus from what you are DOING as a leader, to who you are BEING as a leader. This is what “conscious leadership” is all about. 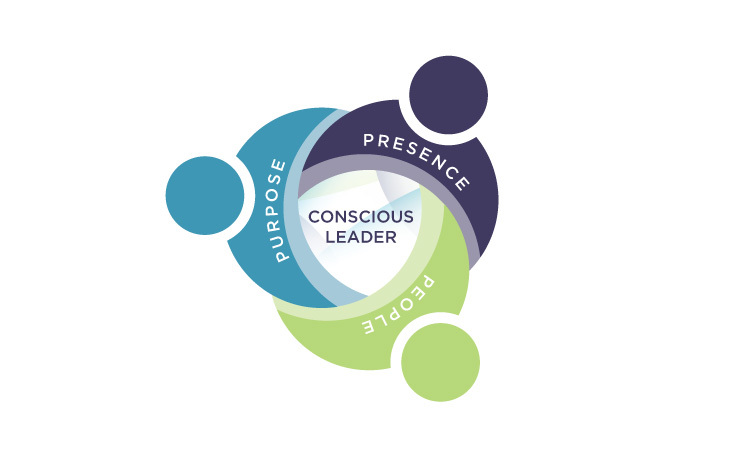 Click here schedule a 30 minute complimentary strategy session with Suzanne to learn more about what “conscious leadership” is and what it can mean for your team and organization! Check out the link here if you want to learn more about the journey to unleash your “conscious leader” within. Suzanne Qualia is an Executive Coach and Team Facilitator who is passionate about helping leaders step into leading from a space of “consciousness” that inspires, motivates, improves engagement and shifts cultures within teams and organizations; AND improves bottom line results. To talk to Suzanne directly, please call 608-354-5392.